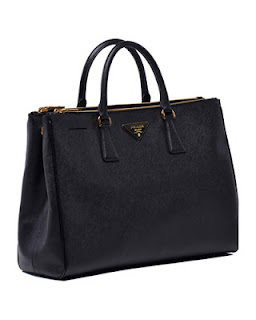 This is one of the luxury handbag I have been lusting for the past months. I love the design - simple and clean. Big enough for me to dump few of Iqbal's toys and other needs. This probably more suitable for work but I think it can be use for going out as well. Available online from neimanmarcus.com and saks.com (both have international shipping). Bad news! They don't ship PRADA bag and MK to Brunei. Boo! If you know where else we can find handbag we can buy online, let me know :) Thanks!